This fern is found also in other parts of the Pacific, Australia and Southeast Asia, and is closely related to the bracken fern of other parts of the world, Pteridium aquilinum, of which it was once considered a variety or subspecies. It assumed enormous importance in Aotearoa because of the lack of widely available sources of carbohydrate, and the difficulty of producing sufficient kumara and other introduced root crops in sufficient quantities to feed a growing population -- or to grow these at all in many parts of the country. Perhaps to underline its role as the "staff of life", the word aruhe, the direct reflex of the Proto Polynesian term for ferns of this kind, was used to denote the root itself in mainland New Zealand, where the frond and thus the visible plant as a whole was designated rauaruhe, literally aruhe-leaf. Preparing the food to eat was an arduous process consisting of digging it up (not at all easy as the best roots can be a metre underground), removing the hard outer layer, soaking and pounding the inner part to separate the starch from the fibre as much as possible (which usually resulted in plenty of the indigestable fibre remaining), and then cooking it. It was an acquired taste, but it seems that most people forced to eat it out of necessity got to be reasonably fond of it. Reports of early outside observers varied greatly, some finding it quite pleasant to eat (no doubt the skill of the cook and the observer's own taste in food also greatly influenced these perceptions); the "wild food" writer Andrew Crowe, however, is inclined to agree with the verdict of an 1842 account which noted that "a very good imitation might be made with a rotten stick, especially if slightly pounded, to which it bears a striking resemblance, both in taste and smell" (Field Guide, p. 109). The preparation and cooking of the fern root and young shoots were very important, as all parts of the plant are toxic, as well as being carcinogenic. However, according to Andrew Crowe, the traditional ways of processing aruhe and rauaruhe removed the carcinogens, although H.E. Connor notes that Japanese research has shown that there, at least, research has shown that the processing of the young shoots (which are particularly rich in carcinogens) "reduces, but does not eliminate, the carcinogenic activity" of this popular and widely-eaten food (Poisonous Plants, p. 192). Connor also notes that "Poisoning by bracken is frequent in cattle in New Zealand; serious losses occur in the King Country even now ." This is a great encouragement to me to let it spread unchecked at the western end of the Language Garden (see photograph at the bottom of this page), where it first appeared unbidden a few years ago -- this is the main point of entry for marauding animals from neighbouring properties, and if the cattle eat enough of the fern it may encourage their owners to repair or put up fences along their river boundaries -- it may of course also earn us a citation from the District or Regional Council for harbouring a noxious pest, but since the rauaruhe is a native plant bearing a well-attested heritage name, and cannot be cultivated (it grows where it chooses, and nowhere else), this surely is justification for letting it thrive in Te Mära Reo! PPN: *Hulufe Probably a generic term for fast-growing, especially tangled ferns such as Dicranopteris linearis (Gleicheniaceae) with stolons enabling them to colonize wide areas. Note: Rauaruhe is also known by the variant names Rarauhe, Rahurahu and Rärahu. 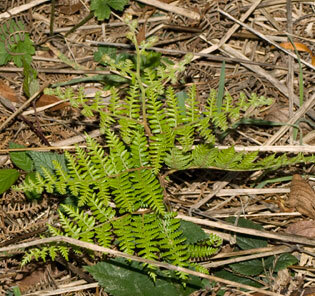 The newly-emerged young shoots (illustrated below) are called kōnehu or pananehu; they (and the young shoots of some other fern species) are covered with a fine dust known as mōkehu, and the harvested fern root was known as roi. The Aruhe and Rauaruhe in Traditional Maori Poetry, Proverbs and Life. Various parts of the plant had significant medicinal, symbolic, spiritual and magical properties, many of which are listed in Murdoch Riley's Herbal (pp. 389-393). In the cattle-oriented colonial and post-colonial world, however, rauaruhe has come to be regarded as a menacing weed -- of sufficiently high status to be the first listed (with its photograph as the frontispiece) in Parham and Healy's Common Weeds in New Zealand (1976). Nonetheless, apart from its value as a food, the stout midribs of the fronds were used to make lattice fences, and it is an excellent accelerant for fire, particularly when the fronds are starting to dry. This is the referent to an often-used metaphor in New Zealand English "the fire is in the fern" (thought to be an "ancient Maori saying", but I have yet to find it mirrored precisely in an old Maori text), meaning that mischief is afoot, and it's too late to try to control it. The origin of the aruhe is attributed to Haumia, the god of uncultivated foods. Along with four of his brothers, he conspired to separate their parents, Rangi, the sky and Papa, the earth. A sixth brother, Tawhirimätea, the god of wind and storms, opposed the plan, and after it succeeded vented his fury. Haumia burrowed into the ground, taking the form of the aruhe, but his hair, the fronds, was seen on the surface by one of his co-conspirators, Tümatauenga, the god of men and war, who pulled him out and ate him. Thus since then, men have done the same. The mökehu (young shoots) are Haumia's children, and gave rise in turn to the sandflies and mosquitos which the fronds harbour (there is a good brief account of this in Margaret Orbell's Encyclopedia of Maori Myth and Legend, pp. 49-50). Despite its divine origin, the stories proverbs and traditional chants which mention the plant and its roots sometimes reveal a certain ambiguity, evident very early on in a tradition concerning the Horouta canoe, which brought back from Hawaiki a cargo of kumara for planting in the newly-settled land. During a stopover on Ahuahu [Great Mercury] island, off the east coast of the Coromandel Peninsula, one of the women on board dug up some fern root and stowed it away, unknown to anyone else, except the precious cargo. The kumara were so upset that they raised a terrible storm, which the tohunga divined was caused by the woman's impropriety. She was thrown overboard, which calmed the weather, but didn't save the ship, as the miscreant managed to overturn it before she drowned. The cargo, however, was salvaged (see Te Rangi Hiroa, Coming of the Maori, p. 57, for further details.). The unfortunate woman was named Kanawa, a tree with sweet-smelling flowers in the Polynesian homeland, but given to a variety of kümara in Aotearoa -- just possibly because of this dramatic incident. E Tama' ë! He tangi aha tö tangi? Te tü nö tö kiri i te tara rauaruhe. O Tama", this crying is your cry for what?. 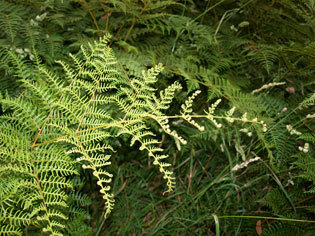 Or the skin is pricked with a sharp-pointed fern leaf splinter. I hokona ai Maunga-Rake ki te poi aruhe rä, ë. When Maunga-rake was traded for a piece of fern-root meal. Among the various songs in Apirana Ngata's collection, the whole range of emotions and qualities associated with aruhe may be found. There is the drudgery of preparing it for food by pounding with the specially-made hardwood beaters: "Taumatahia te aruhe poipoi" --'Twas a burden to make a fern-root meal [NM 270, V3 pp.444-5]; its value as a source of vigour and strength: "Kai ana mai Rongo-ai-kino i te kaka aruhe / I whatumanawa" -- Yonder is Rongo-ai-kino eating fern root / To fortify himself within. [NM 262 V3 402-3]; and its symbolizing of the power hidden within humble things: "Patua ki te aruhe, rünä ki te rama" -- Beaten with fern root used in the torch light [a reference to the burning of the house of Te Ati Hapai in Hawaiki, NM 300 V3, pp. 596-7]. Te pou o te tangata, ë.
Ka ora karikari aruhe, ka mate täkiri käkä. Whano! Kia motu te taka o te roi. He kö aruhe ka taea e te tangata kotahi, te whawhai nä te tokomaha. 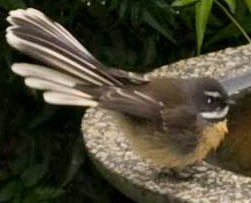 Hawaiki te whenua e tupu noa mai te kümara i roto i te rarauhe. E ki ana, i mua i pai te kai a te Maori ?he kumara, he aruhe, he pohue, he manu, he kaingaru, he tuna, he mataitai; e mea ana ano, i kaha rawa te tangata i tera wa. Inaianei, kua mahue te aruhe, me te pohue, kua kore te kaingaru, kua iti haere te manu, kua iti haere hoki te ngaki o te kumara, kua tahuri I te tangata ki te kaanga piro. Ka nui te kino o tena kai, kino whakaharahara. To that writer, at least, the merits of the sturdy aruhe and the nutritious Southeast Asian rat far outweighed the advantages of the then-modern convenience foods like "rotten corn"! 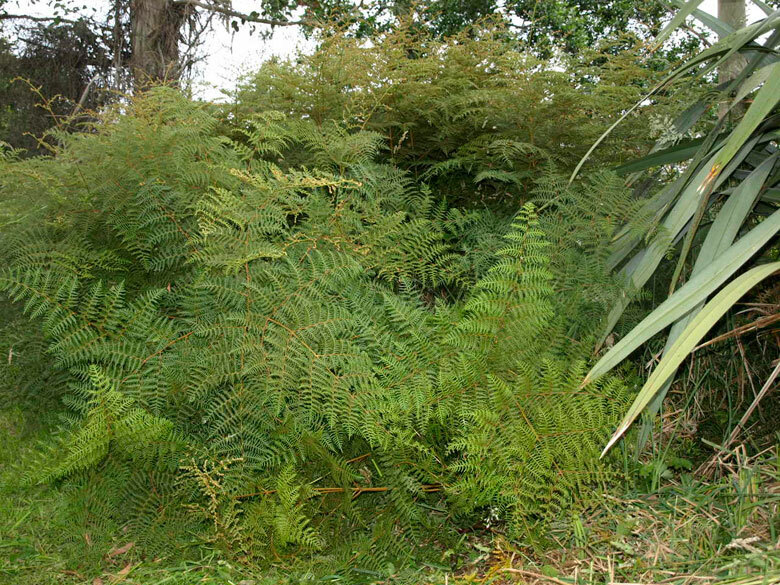 Further Information: The Te Ara - Encyclopedia of New Zealand web site has several brief references concerning aruhe, including one with two examples of sayings underlining the importance of the fern root as a foodsource, including a high-resolution picture of harvested fern root, and another summarizing traditions about the origin of aruhe and its harvesting and preparation. A "Google" search will bring up 25,000 more references to "aruhe", including the NZQA prescription for the 6 credit, level 10 course on "Carry[ing] out the harvesting, preparation and storage of aruhe". However, most if not all of the essential information is well covered in the range of references in the previous sections of this page (publication details of the works mentioned are in the bibliography).